Let me get something off my chest. 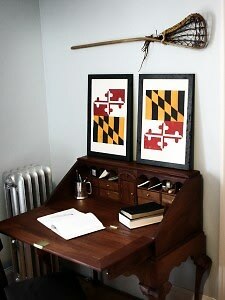 Although I am proud to be a staunch New Englander, I have a (not-so-secret) obsession with the South. Maybe it's the countless viewings of "Steel Magnolias" or my affinity towards big hats, but I've always dreamt of a life below the Mason-Dixon Line. 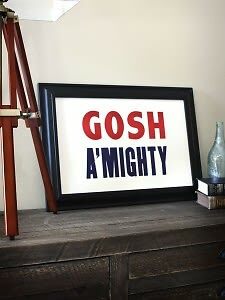 Although a relocation is not in my future anytime soon, the prints from Old Try can bring a bit of Southern gentility into anyone's home. 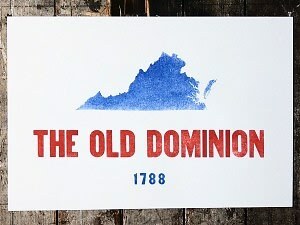 Old Try uses traditional printing machines with moveable type to achieve that charming Southern look. Seeing as each print is made by hand, each piece is perfectly imperfect and one-of-a kind. Micah and Marianna Whitson are the couple behind the operation. 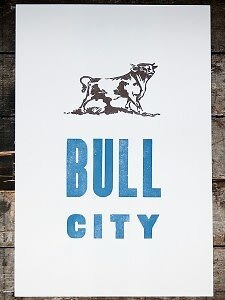 Although relocating to Boston to pursue a career in advertising, they wished to continue the tradition of the vintage letterpress. And they do just that. The "Southern Print Shop North Of Mason-Dixon's" offers a wide variety of prints and shirts that make you want to sit on your front porch and drink your Grandma's sweet tea. Ole Miss Rebels can represent their school pride with the fight song while LSU fans can show their support for the Big Easy. Whether you're a born-and-raised Dixie or just one at heart, Old Try will certainly bring in some Southern charm into your home.